Enter into a world of tranquil beauty at the foot of Mount Taygetus. 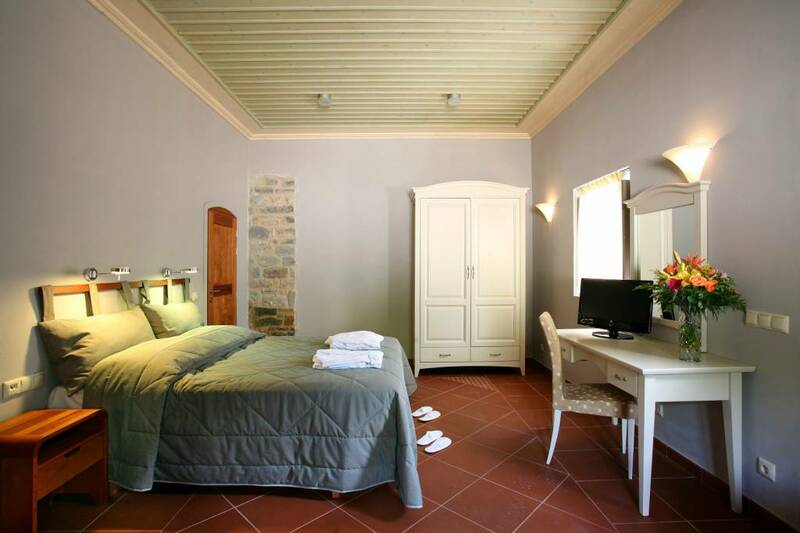 Lying just outside the town of Sparta, the Taleton Eco Boutique Hotel with 10 lovely rooms will impress you with its traditional stone architecture, absolutely delicious local breakfast, friendly staff and what some say is the most peaceful inner courtyard in the Peloponnese. 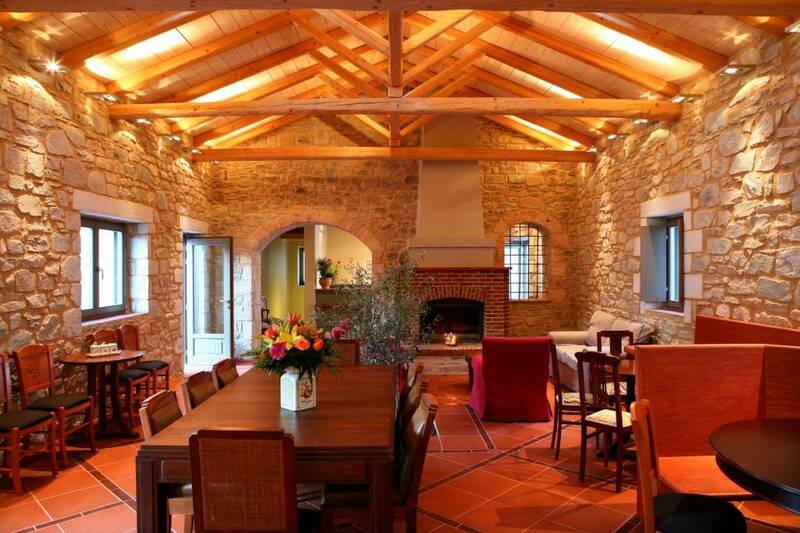 The Taleton lies in the heart of an idyllic village, Xirokampi, whose main square is dotted by many lovely local restaurants. The village itself is surrounded by olive groves, verdant mountains, archaeological treasures and beautiful monasteries. This is the perfect place for hiking, biking, mountain climbing or just strolling in nature. From the local breakfast to the restaurants outside, you'll be taken on an amazing culinary experience that is best paired with some of the local wine. While this is a green mountainous area, just half an hour away lies the beautiful beach of Mavrovouni and the idyllic town of Gythio. 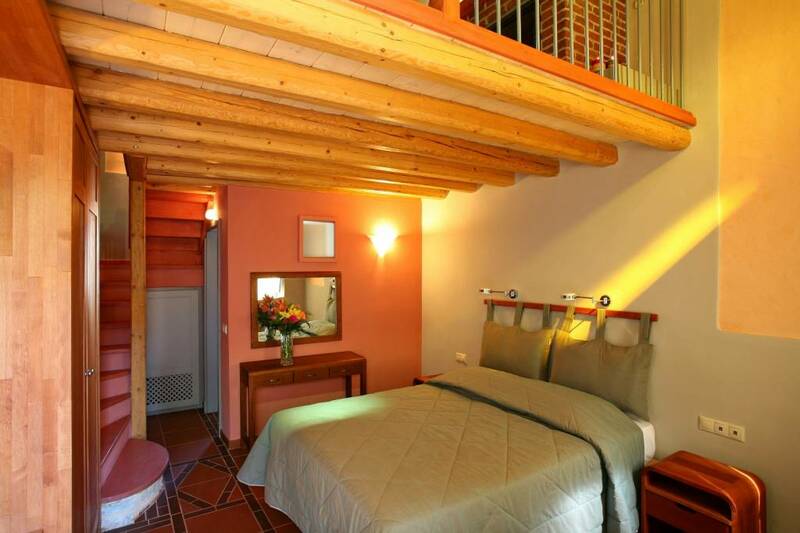 The two level rooms as well as the two level suites of TALETON hotel are spacious and comfortable enough to make guests feel at home. Grasp the chance to enjoy the beautiful yard with the magnificent fountain. Relax at the fireplace living room while reading one of the books offered there. TALETON guest house has been built with respect for Nature and for this reason it takes advantage of geothermal energy. Delicious breakfast made of local ecological products is served every morning! with its gorgeous beaches and the rock-town of Monemvasia. In nearby Mani there are also the Diros Caves which are worth the detour. The beauties of the Peloponnese never end!